ILLINOIS -- A 65-year-old woman has been sent to prison for 18 months for probation violations after pleading guilty to abusing more than a dozen dogs and cats. Will County Judge Richard Schoenstedt originally sentenced Elizabeth Brown to probation, but sent he to prison Jan. 6. 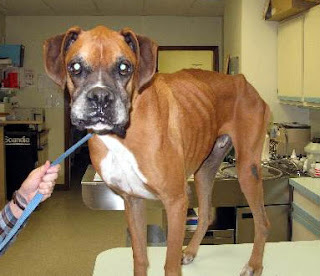 Brown, whose address is sometimes listed in court records as Joliet Township, Paxton and Ashkum, was arrested Jan. 25, 2008, by Will County police and charged with felony cruelty to animals. Just days before her arrest and on one of the coldest days of that year, humane society investigators and Will County police seized 18 starving dogs – pets owned by Brown – from two locations. 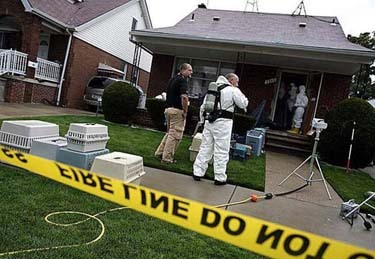 Most were in an unheated barn in Manhattan Township, and the rest were being kept in the yard of an empty house owned by Brown on Loganberry Lane in Joliet Township. 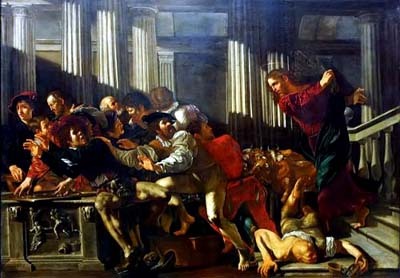 When the authorities arrived that day, the animals were starving, thirsty and dirty. One dog had lost part of an ear to frostbite, and another had a baseball-sized tumor and glaucoma. 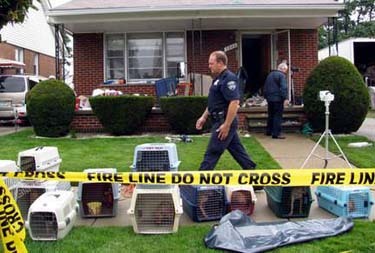 Authorities later removed 10 cats from inside the same unoccupied Joliet Township home. At the time, the house was not heated. FLORIDA -- Dorothy York, whose pit bull last week attacked and killed a neighbor's dog, was arrested Sunday afternoon on charges of felony animal cruelty and culpable negligence. Hillsborough County Animal Services investigated the case, filed the charges and had her arrested by the Hillsborough County Sheriff's Office, said Marti Ryan, an Animal Services spokeswoman. since the boy was 3 years old, his parents say. 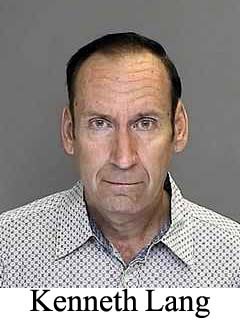 York was released from the county jail Sunday afternoon after posting bail set at $2,250, records show. On Wednesday, York's two pit bulls got into the neighbor's backyard and attacked the neighbor's 6-year-old mixed-breed dog, Dixie. Paul Stucke, Dixie's owner, saw the commotion in the backyard and went outside. He tried to separate the dogs, but one of the pit bulls attacked him. He shot the pit bull and killed it. Dixie died from injuries sustained from the attack by the pit bulls. Animal Services on Wednesday cited York for the dogs being vicious, being at-large and having expired dog tags and vaccinations. York, 36, of 801 Bills Circle, Brandon, faces several thousands of dollars in fines and a court date. This was not the first time that Red, the female pit bull that was shot, had been the focus of an investigation. In August, Red bit a 71-year-old man, but that person waived prosecution. Animal Services sent York a letter at the time that they were aware that her dog could be aggressive and she should take precautions. On Wednesday, Animal Services also confiscated York's male pit bull, Smoke. LOUISIANA -- A New Orleans police officer was arrested this morning and booked with two counts of animal cruelty after authorities say one of her dogs died of severe malnutrition. A second dog, a boxer, was removed from her LaPlace yard and turned over to the St. John the Baptist Parish animal shelter in severely bad shape, St. John Sheriff's Office spokesman Lt. Andy Breaux said. Authorities say Nikia Adams, 28, of 1908 Cartier Drive, called the St. John animal shelter on Tuesday for help to remove her dead labrador retriever. The dead dog only weighed 23 pounds. The dog should have weighed 55, according to LaPlace veterinarian Dr. Phillip Thiac who examined the dog. Although dog food was seen at Adams' house and she told an animal shelter employee that she fed the dogs several times a day, a post mortem examination seemed to indicate otherwise. "She told the animal shelter worker that she fed the dog a dozen times a day," Breaux said. "Dr. Thiac said he found absolutely no food content in the dog's body." Adams was booked into the parish jail with one felony count of animal cruelty and one misdemeanor count of animal cruelty. She was released earlier today after posting her $4,500 bond. Adams has been a district patrol officer with the New Orleans Police Department for 10 years, said Officer Gary Flot, a police department spokesman. [New Orleans Police Department leaders fired Officer Nikia Adams Wednesday. Superintendent Chief Serpas said the officer pleaded no contest to charges in court, and was thus unfit to serve as a police officer. FLORIDA -- Paul Stucke heard the commotion of dogs fighting in his back yard this afternoon. He went out back and saw two pit bulls attacking his 6-year-old mixed breed dog, Dixie. When he tried to separate the dogs, the pit bulls went after him, according to his wife, Sharon. So he shot and killed one of the pit bulls, she said. After her husband shot the pit bull, the couple rushed Dixie to an animal hospital, but his injuries were too extensive. The dog was euthanized. "We got Dixie when our son Justin was 3," said Sharon Stucke. "Dixie was his best friend." Hillsborough County Animal Services cited Dorothy York, the owner of the two dogs, for the dogs being vicious, being at-large and having expired dog tags and vaccinations. York, 36, of 801 Bills Circle, Brandon, faces several thousand dollars in fines and a court date, said Marti Ryan, animal services spokeswoman. This was not the first time that Red, the female pit bull that was shot, had been the focus of an investigation, Ryan said. In August, Red bit a 71-year-old man, but that person waived prosecution, she said. "If she had been more responsible in the first place, that might have been the prevention," Ryan said. "She's the owner and the ultimate party responsible for these animals." On Wednesday, animal services also confiscated York's male pit bull, Smoke, but she hasn't relinquished ownership of the dog, Ryan said. She could also go to court to try to regain custody of the dog. 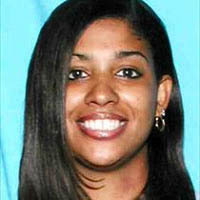 The case remains under investigation, Ryan said. This afternoon, the Stucke family was shaken. Paul Stucke was trying to calm down after watching his dog die, then being attacked and having to kill an animal. Sharon Stucke was trying to figure out how to tell Justin, who was in school at the time, the bad news. 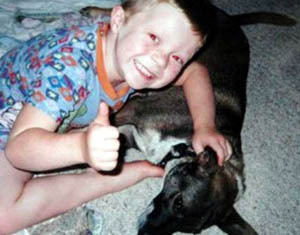 "How do you tell a little boy that his best friend was killed by another dog?" she asked. "How do you deal with that?" 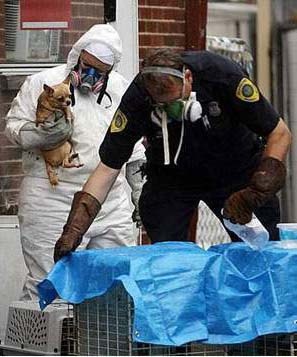 MICHIGAN -- The Dearborn man found with hundreds of live and dead Chihuahuas in his home last summer will avoid jail and instead serve five years’ probation while being supervised by Wayne County mental health personnel. Kenneth Lang (aka Kenneth Lang Jr.), 56, pleaded guilty today to an animal cruelty charge this morning in front of Wayne County Circuit Judge James Chylinski. Lang’s attorney, James Schmier, had been working with prosecutors for weeks on an agreement that would keep Lang from being incarcerated. He faced up to four years in prison on animal cruelty charges. Lang is not allowed to own animals and must make a $3,000 restitution to the Animal Legal Defense Fund. He was also ordered to pay restitution to the city of Dearborn, although that amount hasn’t been set. Schmier said Lang lives on Social Security disability and Medicaid. His IQ, Schmier said, has been measured at 70 — borderline mentally disabled. In September, Judge William Hultgren of Dearborn’s 19th District Court ordered a hearing where Lang was evaluated for mental competency and for criminal responsibility. 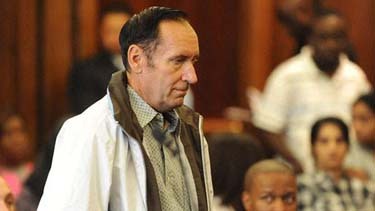 Lang was found competent to stand trial. Authorities acted on a complaint in July and discovered Lang was hoarding the dogs. More than 150 dead dogs were found in refrigerators and freezers inside the home, which was covered in filth and animal feces. 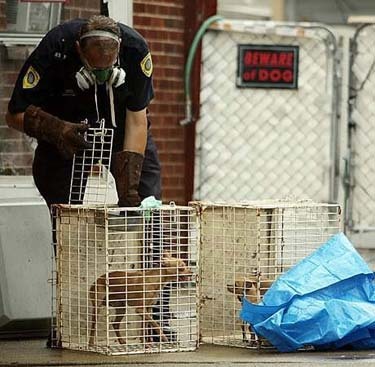 Authorities removed 105 live dogs from the home. 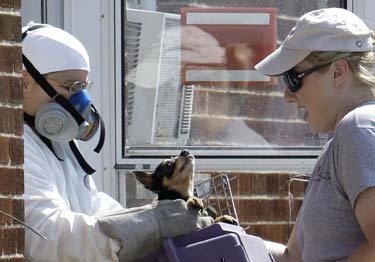 The dogs were put under the care of the Dearborn Animal Shelter. Officials said about 92 of the dogs have been adopted. The other 13 still have emotional issues and are living in the homes of animal volunteers. James Schmier, Lang's attorney, pushed hard for people to forget about the dead animals - which may have been killed by an injection to their hearts by Lang. In interviews, he said this wasn't "necessarily an animal story" but a human interest story for someone who needed "help". 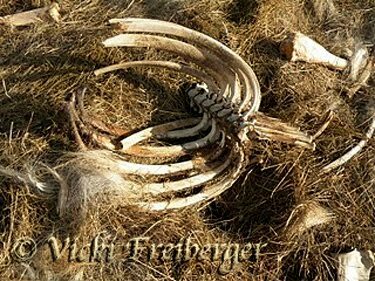 Sorry James Schmier, but no one is forgetting about what he did t these poor animals. I hope you can sleep at night knowing you lied and helped get this guy just five years of probation. Will you be there, James Schmier, in five years when he starts hoarding animals again? You'll have to answer to God someday don't forget. NEBRASKA -- A former Morrill County rancher presented himself as a “true cowboy” but instead starved the horses and burros he claimed he was giving sanctuary to, Morrill County Attorney Jean Rhodes told a jury Monday. The cowboy claim was posted by Jason Meduna on his Web site for the 3-Strikes Ranch that he operated in northwest Morrill County. 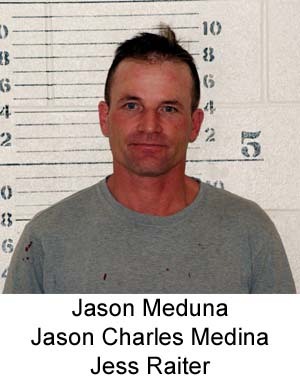 Meduna, 43, faces trial on 149 felony counts of animal cruelty. A jury of six men and six women heard testimony for the first day in a trial expected to last five days. It was a quote used often by media covering the case after Meduna’s April arrest and Rhodes used the presentation of former 3-Strikes ranch owner as a “true cowboy” when introducing the case against him during opening arguments Monday. 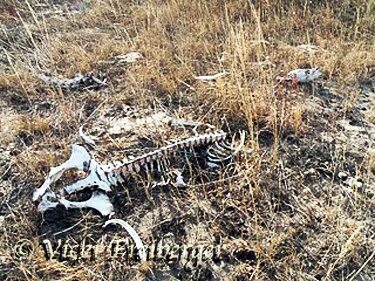 When law enforcement arrived at the ranch on April 18, Rhodes said they found no hay stacked for the winter and horses were left to grazing, irrespective of poor range conditions at the ranch. 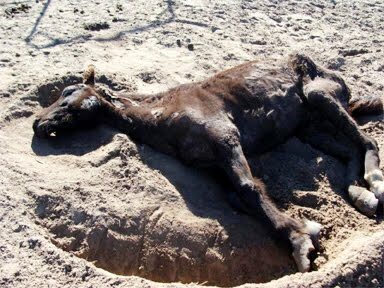 Seventy horses were discovered dead on the ranch as officials searched it in the following days. More than 200 horses and burros were removed from the ranch by law enforcement and animal rescue organizations that volunteered to help. While Meduna had gathered supporters through his Web site and other Web sites for Mustang aficionados, he didn’t let board members and supporters onto the ranch. 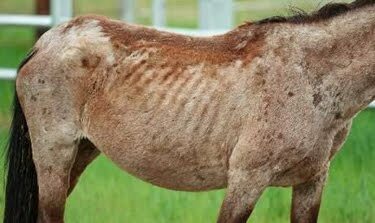 Rhodes implied in her arguments that he was hiding the deteriorating condition of the horses from his supporters, while still getting cash donations from them. In charging Meduna, Rhodes said prosecutors focused on specific animals, such as a 3-year-old roan filly seized by the Bureau of Land Management, horses specifically identified by their owners and dead horses found on the ranch. More than 90 counts have been charged based on horses and burros classified as in poor condition after they were seized and examined by veterinarians. As custodian of the horse, Rhodes told the jurors, Meduna was responsible for the horses he had taken in from the Bureau of Land Management and private individuals. “He failed to provide proper feed, water or care,” Rhodes said, saying the state intends to prove that he acted intentionally and recklessly. In his opening argument, defense attorney John Berry contends that Meduna didn’t intentionally starve the horses and the prosecution will fail in proving its case. At the conclusion of trial, he said, defense attorneys will be asking the jury to acquit him of the charges. Instead of a person who intentionally or recklessly starved his horses, Berry painted a picture of a man who loves horses and was saving ones that the Bureau of Land Management was unable to adopt. Most of the animals on the ranch were “3-Strikes horses,” which the Bureau of Land Management was unable to adopt after three tries and sold for about $10 each. 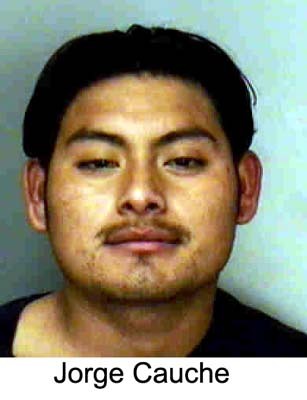 Meduna had been around horses his whole life and his grandfather taught him to train horses, his lawyer said. “Jason wasn’t alone in his vision,” he said. “… He gained support along the way” and those supporters helped him build a better Web site, promote his business and form a corporation. The Bureau of Land Management also continued to allow Meduna to adopt horses, and Berry said, conducted periodic inspections. “Things were going well until about February 2009,” he said. Berry said Meduna began to run short of hay and funds to purchase additional hay. Supporters helped him apply for a hay grant and sent him online donations. While Meduna thought things were turning around, he was suddenly plagued by sick horses and consulted with supporters online for opinions and advice. It was from those opinions, and because of contentious relations with neighbors, that Meduna began to feel his horses were being poisoned. One supporter, who is expected to testify against Meduna, even recommended a health supplement that Meduna believed had improved the health of his horses. Starvation claims were circulating at a conference for wild horse rescue groups before Meduna’s arrest, Berry said. “Interest groups were waiting to get their hands on Jason’s horses,” he said, and law enforcement became involved. Out of concern for his horses, Meduna signed them over to the rescue groups, but continued to investigate potential causes of their ailments, including rumesin poisoning from cattle feed that Meduna alleges neighbors may have used to poison his horses or arsenic poisoning from a lake on the ranch. Meduna didn’t have any motive for poisoning his horses or destroying the mustang sanctuary he had dedicated his life to, Berry said. Without that, he said, the state couldn’t prove its case. 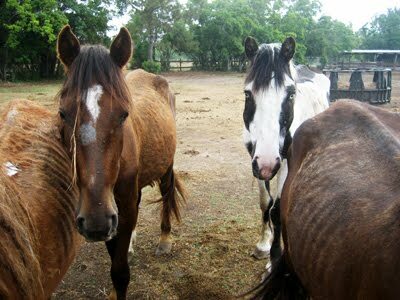 It’s clear that the horses needed help, he said, and Meduna cooperated by turning them over to rescue groups. 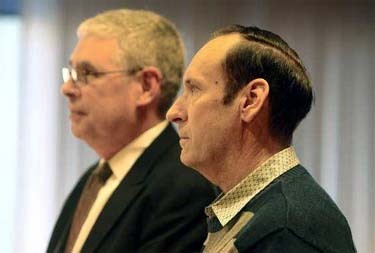 Testimony during Monday’s proceedings centered around establishing foundation, with Morrill County Sheriff John Edens and Deputy Cheree Conway testifying about photos taken at the ranch, at the Morrill County fairgrounds where the horses were moved after being seized and other photos that showed the poor condition of the horses and the ranch. Edens also testified about Meduna reporting a horse from the ranch stolen and voicing that he believed neighbors were poisoning his horses. Testimony in the case will resume at 8:30 a.m. Tuesday at the Morrill County Courthouse in Bridgeport.